Home » Honda Passport » Find the Honda Passport Trim Level that Best Fits Your Lifestyle! Set to arrive at dealerships later this year, the all-new 2019 Honda Passport is a breath of fresh air in the Honda model lineup that will cater to adventurous families on the go. 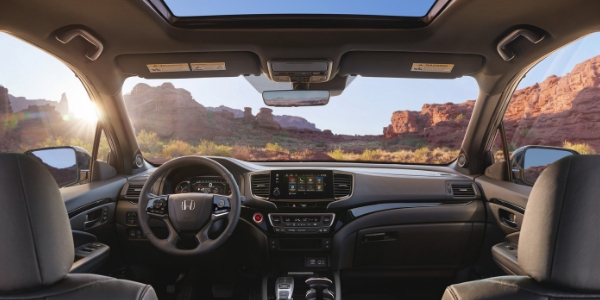 With many car shoppers chomping at the bit to get behind the wheel of the five-passenger Honda Passport, many want to know – what are the 2019 Honda Passport trim levels and features? Find the Honda Passport trim level that best fits your lifestyle with this quick guide provided by Howdy Honda! When the 2019 Honda Passport arrives at Howdy Honda, it will be available in four trim levels – Sport, EX-L, Touring and Elite – that will make room for five passengers. Positioned between the 2019 Honda CR-V compact crossover and the three-row 2019 Honda Pilot, the Honda Passport provides 115.9 cubic feet of passenger space that is complemented by 41.2 cubic feet of cargo space behind the second-row seats. All Honda Passport entries are powered by a 280-horsepower 3.5-liter i-VTEC® V-6 engine that is paired with a nine-speed automatic transmission. An i-VTM4™ all-wheel drive system is available for Sport, EX-L and Touring trim levels and comes standard for Passport Elite models. If you have fallen in love with the all-new Honda Passport, you may have asked – what are the 2019 Honda Passport trim levels and features? Armed with this quick guide to the Honda Passport, you can find the trim level that is the best fit for you and your family at Howdy Honda. Keep an eye on the Howdy Honda inventory later this year for the arrival of the 2019 Honda Passport! 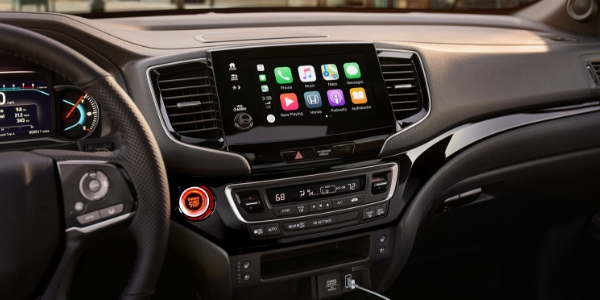 This entry was posted on Tuesday, January 15th, 2019 at 10:16 am	and is filed under Honda in the News, Honda Passport, New Car Specials, Priority Spotlight. You can follow any responses to this entry through the RSS 2.0 feed. You can skip to the end and leave a response. Pinging is currently not allowed.